If you are a regular reader of my blog then you may have noticed that I have been on a reollercoaster ride on my weight loss journey. Roughly February time last year I had lost 3 and a half stone, I went to visit Thailand for three weeks and gained at least 7lbs if I remember and ever since I have just been gaining. I am not 26 weeks pregnant and I have my current weight is my starting weight when I first ever joined Slimming World, which I am really dissapointed about. I am trying my best not to go over board in this pregnancy. So far I haven't gained as much as I thought I would in the pregnancy, which is good I guess! However, after baby is born I really want to get my act together and do something about it. I think back to when I had lost 3 and a half stone and I was happy. I was fitting back into clothes that hadn't fitted me since before I had Elliw. I was fitting into clothes that I loved, not clothes that I had to buy because I had to hide my fat on my stomach, back, hips and legs. I was buying them and wearing them because I could. I gained confidence. Now? I'm really wary with what I wear out of the house. Indoors, I don't care as no one can see me other than my partner and two girls. But outdoors I always make sure I wear certain types of clothing because I feel I may get judged by someone outdoors. Some days I really don't care though, but most days I do feel paranoid. Start Walking : A year or so ago I was obsessed with walking. I would go on long walks daily. There is a cycle track right next to where I live and it takes you to a cafe and that is about a mile long. I plan to walk this most days of the week which will total 2 miles there and back. Along with the school runs which is another 1-2 miles a day there and back, morning and afternoon. Get Back To Eating Healthily : When I had reached my 3 stone mark the SW plan was just natural to me. I didn't think of eating badly just on the odd occasion. I still had my treats weekly and having meals out but I was still losing because the rest of the days I was on plan and just eating healthy and normal. I want that to get back into my head. Size 16 by Christmas : This is my goal. At the moment I am back at my (uh-oh) size 18-20. I do plan to get down to size 16 by Christmas or during January time. I really hope I can achieve this. I want to feel comfortable for Christmas like I did back in 2014. Home Workouts : I am planning to get back in to my home workouts. I really enjoyed them when I did them last year and the year before. I regret not carrying on but I did find it hard with Elliw constantly wanting attention when she was here. When she was at school the two hours just went to fast. So I am hoping with both girls in full time school from September and hopefully babyboy will be good napping, I can get back into my daily workouts at home. How did you manage your weight after baby? Youve inspired me I lost 6stone before having Blake but have put on 3.5 stone when pregnant and have yet to have lost it. Now the weather is getting better I plan to go for walks more and I'm going to try and fit in a work out at home during Blake's nap times. It's not easy, after childbirth, that's for sure. Lots of exercise and eating proper foods definitely helps. Good luck with your weightloss, it's good to have a plan. I could do with losing a stone at some point. Loosing weight is so tough, I've been trying to for about 3 months now and got no where really, good luck love, sending lots of support to you! It's great to have a plan and to write it down, always makes me more likely to actually do it! Good luck with your weight loss journey! I am sure you will soon get back to shape once the baby arrives. I carried on as normal and the weight just fell off naturally. I can definitely relate to how you're feeling. 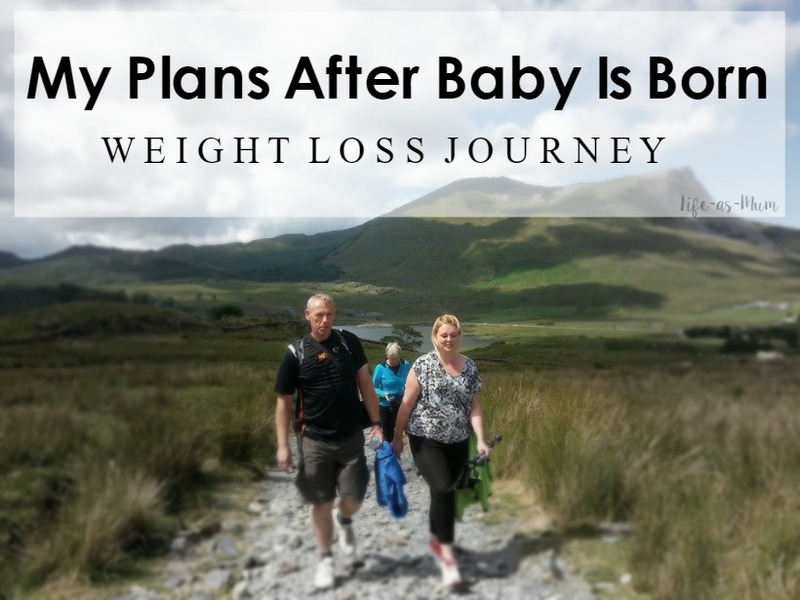 It's great that you already have a plan for getting back in shape after the baby is born. Good luck, hope you stick to it, sometimes plans go out of the window when you have a baby. Congratulations on the pregnancy, and good luck with your post birth goals. I am not a Mum myself but last year I gave myself a list of goals in regards to weight loss, exercise and healthy eating and I really think prepping yourself and thinking ahead make a big difference. I think you've got such a positive frame of mind that you'll easily slip back into your SW habits once you've had the baby. Don't be too hard on yourself though. We women should really cut ourselves a bit of slack, when it comes to weightgain and childbearing! This is such a short space of time in the grand scheme of things. You've got a lifetime to get back to your ideal weight once the baby has come. Good luck with your weight loss! I can reccomend the app "Myfitness pal" to help log what you've eaten throughout the day!